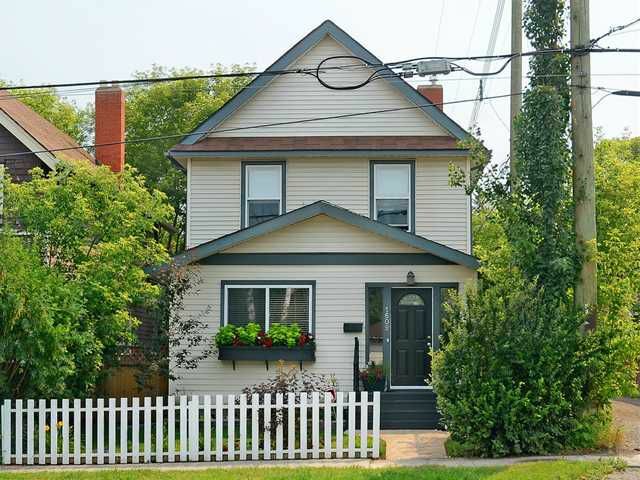 Located on one of the best streets in Bankview, this great infill is perfectly located just steps away from the heart of 17th Ave & comes complete with a private sunny SOUTH back yard full of mature trees. The main floor is bright & spacious featuring site finished maple hardwood floors, large living room, new kitchen with Stainless appliances & granite counters. There is also a main floor office that overlooks the back yard. The second level offers a large master bedroom with wall to wall closets, 2 generous additional bedrooms & a 4pc bath. The basement is currently set up as a suite (illegal) & rents for $850/mo. It features one bedroom, 3pc bath, living room & kitchen. Laundry is shared. Almost all windows replaced. Updated Mechanical. Comes complete with an oversized single garage 13x21. This affordable, well cared for home is perfect for a young professional family as it's just blocks away from great schools, Parks, South Calgary Pool, the shops & restaurants of 17th Ave & walk to DT.